Lake Lansing Road Animal Clinic invites you to meet our new groomer, Angie! We are excited to have her join the team and we think you will be pleased with the excellent service she provides. Call the clinic to schedule a groom or setup a time to meet with her. 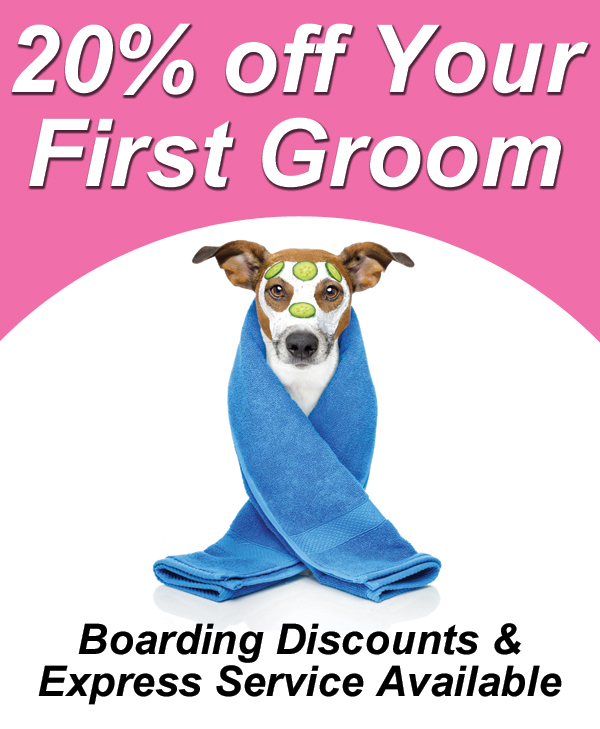 We are happy offer 20% off your first groom with Angie. Please read below to learn more about her. Angela has over 12 years of experience grooming dogs and cats. She received her degree from Mid-Michigan School of Canine Cosmetology, and has managed salons and owned her own. She has worked in the kennel at Lake Lansing Road Animal Clinic since 2013, and has built a relationship with many of our regular canine and feline visitors. She works with each pet and their human companion to ensure they feel welcome and have a relaxing visit. Angela says there are so many breeds that she enjoys, so she could never pick a favorite! At home she is a mother of three, human companion to a (well-groomed!) Standard Poodle, chickens and ducks. In her free time she enjoys camping with her husband and children and dancing. Dogs must be current on vaccinations at the time of groom appointment.